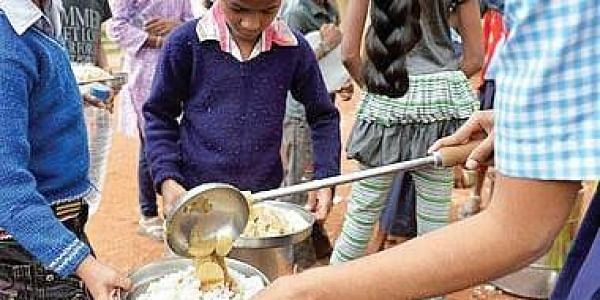 The students from a village in Chhattisgarh's Gariaband district started vomiting and complained of nausea soon after eating the mid-day meal. RAIPUR: At least 24 students of a government school took ill today allegedly after they consumed food under the mid-day meal programme at a village in Chhattisgarh's Gariaband district. The incident occurred at the government middle school in Jamgaon village under Deobhog tehsil, Gariaband Collector Shruti Singh told PTI. "The students were admitted to a local hospital in Deobhog with symptoms of food poisoning by the school staff this afternoon," she said. The students started vomiting and complained of nausea soon after eating the mid-day meal. When the teachers noticed the deteriorating condition of children, they immediately took them to the hospital, the collector said. "The condition of children was (later) said to be normal and they have been discharged," the collector said, adding that the cause behind the incident can be ascertained after a probe. The Self-Help Group (SHG), tasked with preparing the mid-day meal at the school, has been immediately removed, Singh said, adding that further investigation is underway.